These bronze and mixed media sculptures were all made from a mould drawn directly from the elephant skull. 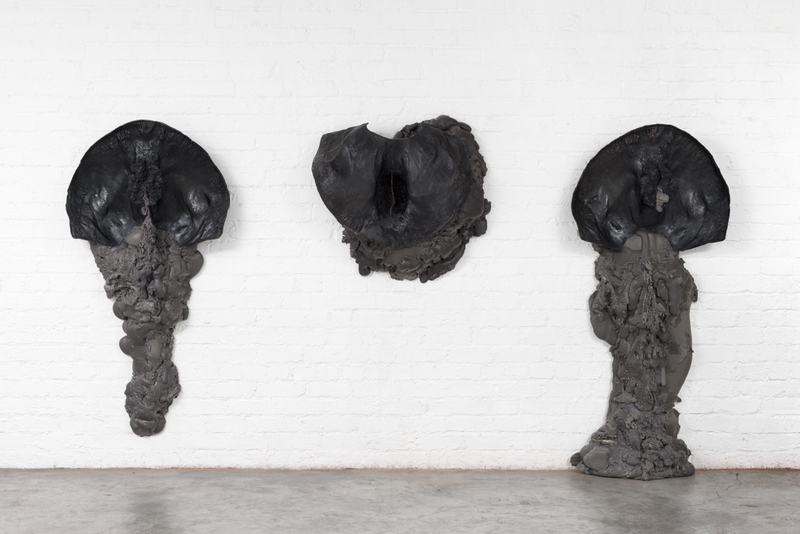 For FLAY I, II & III Thom and Du Toit used a single section of the mould to create a series of new, organic forms that they loosely referred to as ‘in’ and ‘out’ shapes: These shapes are in fact simply reverse cast of the same area of the skull – the backside of the head, to be precise. In this way the artists created a central negative shape flanked on either side by two positive shapes. These negative and positive shapes act like spouts from or into which grey polyurethane foam liquid could run and grow into solid shapes. 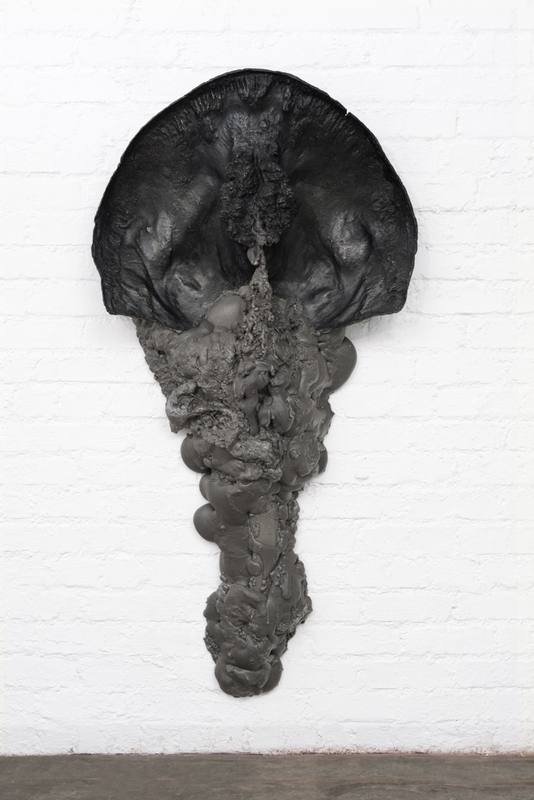 In this way a section of bone is animated, becoming alive in a sculptural, almost visceral materiality. 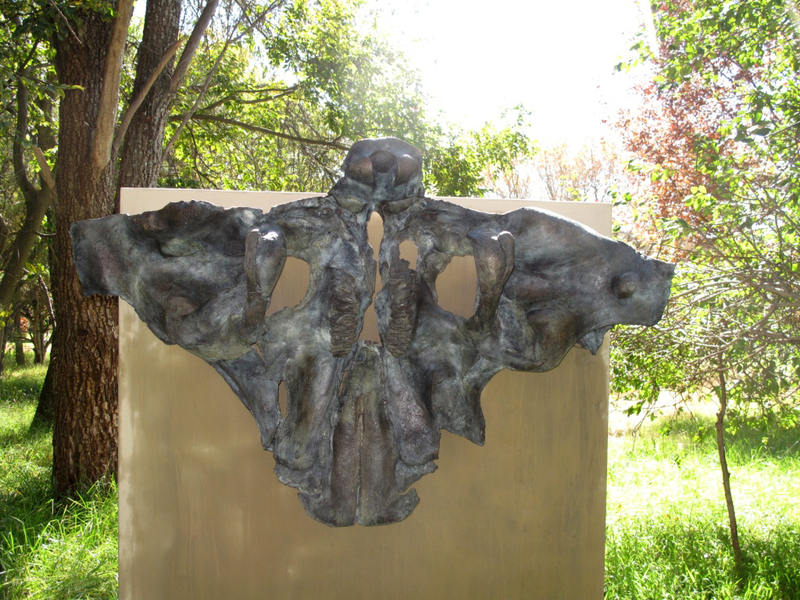 For ELEPHANT SKULL PLATE I Thom and Du Toit recast the entire elephant skull as a flat, relief type shape: the sillicone mould of the skull was literally opened up and folded out like one might do with a rectangular paper box. At this point the shape was cast in wax and recast in bronze. The final work is both wholly abstract and quite sexually suggestive: the shape resembles a massive flower of sorts, a Rorschach pattern and so on. However, it remains very much an elephant skull as the various section of it are all still intact and, upon closer inspection, still clearly recognizable to the trained eye.